The Savoy Tuxedo is always a popular choice and one of our best sellers. 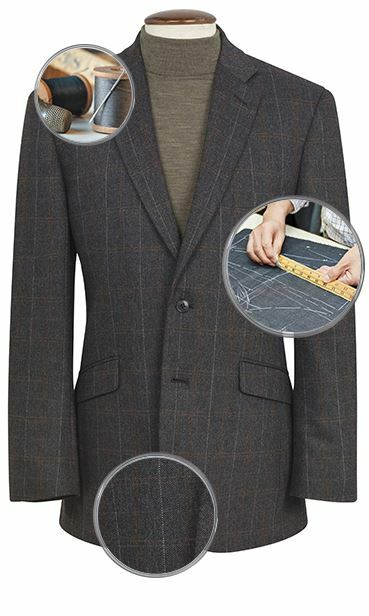 Excellent tailoring combined with a teflon coating enables you to wear this jacket without fear of staining whilst retaining that smooth sophistication. 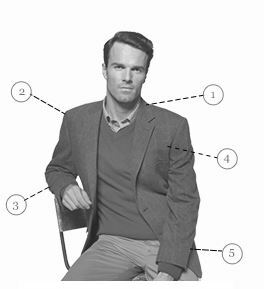 Jacket: One button. Single breasted. Classic fit. Three interior pockets. Four button cuff. Plain back. Straight pockets. Fully Lined. Dry clean only. Great product range with a difference ,quality at a competitive price and service to match online. would highly recommend and will be using them more often. Sizing could be better. Jacket ordered was too long in the sleeves but too tight across the chest. Had I ordered a larger chest size the jacket length and sleeves would have been too long. I consider myself a normal and typical size. I suspect that this article was manufactured outside of the EU where sizing might be different. Allowing for all that, the price and quality was exceptionally good and had it fitted I would have been delighted with my purchase. Best internet shopping experience I've every had. After receipt of our order, once again I cannot fault them. we had to return as jacket too big .easy return new jacket returned in three days.excellent. Excellent service and wonderful quality. We ordered a formal jacket and it arrived in less than 48 hours. The packaging was exceptional. We were contacted to let us know when it would arrive. The jacket itself is perfect and of a vey high quality. We will be ordering more from this company. My white tuxedo arrived on Friday fits perfect a really high quality product in the flesh- It will gets first use in November on a Princess Cruise. 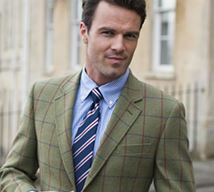 saw the dinner jacket and trousers in a reputable gents outfitters, they didn't have my size so I tried online,delivered in 4 days,excellent quality,excellent service.will buy from Brook Taverner again.never written a review before but felt they deserved it. I bought this jacket to replace another that no longer fitted due to Slimming World success. It was well-made, a perfect fit and was delivered in double-quick time. Excellent all round! Remarkable service from Brook Taverner following my other recent purchase of an amazing London tweed jacket having seen it at the Devon County show where the retailer did not have it in my size, I purchased it on line via a Brook Taverner contact / retailer in Alnwick and was delighted, prompting me to find a decent tuxedo. It arrived in astounding condition, I simply took it out and hung it in the wardrobe in preparation for my next formal evening, it fits perfectly and is' like my previous Brook Taverner purchase, remarkably well made and styled for the price. 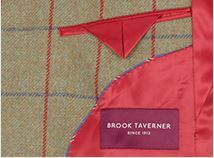 Excellent value for money, style and quality, stunning service and courtesy - it all bodes well for more business in future and I can only recommend Brook Taverner to any discerning gentleman who wishes for sartorial elegance with evident quality and without paying a premium. Looking forward to wearing it ASAP. The jacket looks as good as in the photo. I have tried it on and found it to be an excellent fit. The only thing I'm not sure of is how soon it will get its first outing..
Love this jacket. Excellent value. Fabulous quality for the money. Wonderful service. Wish we discovered Brook Taverner years ago. Delivered in good condition and in good time. Excellent fit. Very pleased with the order. Definitely, recommend. Nice finish and a good fit. Very pleased. 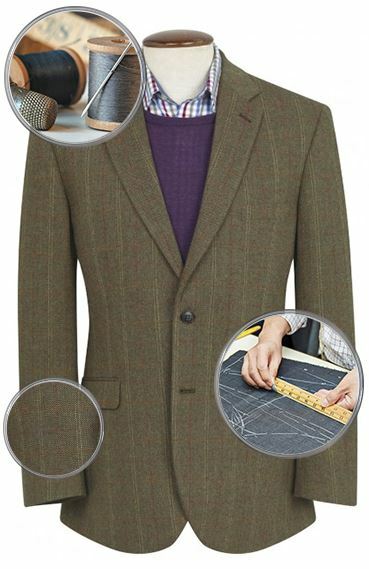 Are lapels silk or same as jacket fabric? The lapels on this Tuxedo jacket are not silk, but are the same cloth as the rest of the jacket. The material composition of the Savoy Tuxedo is 55% Polyester & 45% Wool. My white tuxedo arrived on Friday fits perfect a really high quality product in the flesh- It will gets first use in November on a Princess Cruise. Quality and design perfect.